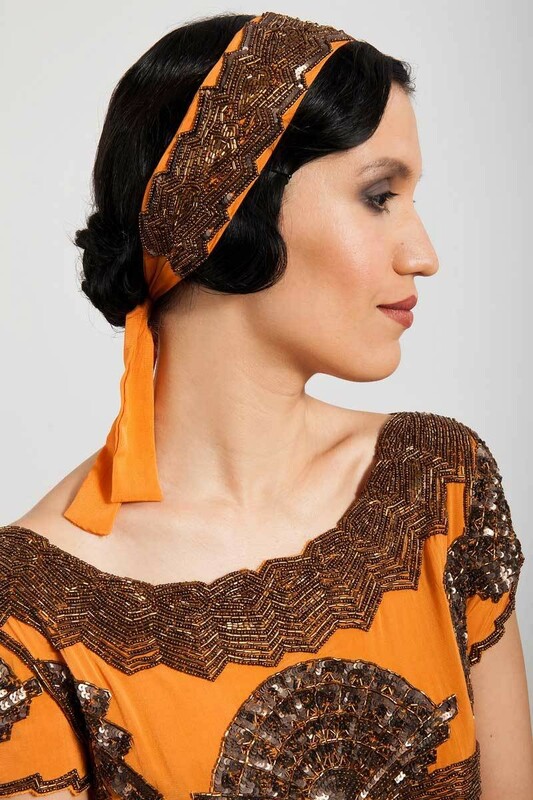 The Mabel Headpiece in Orange is both vibrant and exquisite. A bright, bold color allows the intricate beaded chevron pattern to positively pop, making it easy to add a refreshing twist to any outfit. Pair it with the matching dress or let it take center stage – either way, you’ll be the most stylish woman in the room.